missionary practices and major historical figures using three perspectives. First, it takes into account the missionary activity proceeding from the margins rather than only discussing the center of theological and ecclesial activity. Second, it narrates the cross-cultural, cross-confessional, and cross-religious dynamics that characterize Christian missionary activity. 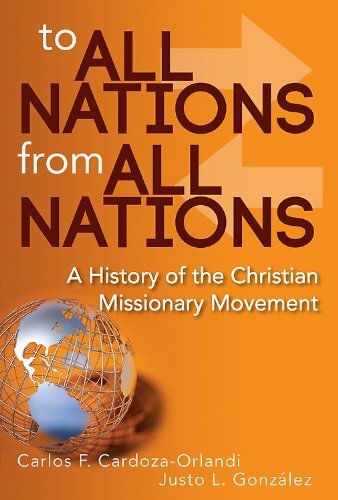 And third, it emphasizes that much missionary activity is generated by national rather than international missionaries. The text concludes with a chapter on the postmodern and postcolonial world. Justo L. Gonzï¿½lez, a retired member of the Rï¿½o Grande Conference of the United Methodist Church, went to college and seminary in Cuba before receiving postgraduate degrees from Yale University. He taught at the Evangelical Seminary of Puerto Rico and Candler School of Theology in Atlanta. He played a key part in the founding of the Asociaciï¿½n para la Educaciï¿½n Teolï¿½gica Hispana and of the Hispanic Summer Program. He was also the first executive director of the Hispanic Theological Initiative. Justo has published more than one hundred books, as well as hundreds of articles, and edited the journal Apuntes for twenty years. Can an Old Center of Christianity Be a New Mission Field?